Technolux continues its Business Series on November 17 from 2 pm to 4 pm featuring Lincoln Conveyor Ovens, one of the premium kitchen equipment brands distributed locally by the company. To be held at Mall of Kitchens, a division of Technolux, the event is free to the public, specifically for aspiring food entrepreneurs and for businessmen who want to upgrade their kitchen equipment. Dubbed “Lincoln Oven- Thinking Outside The Box,” the event is a collaboration between Technolux and Global Academy. The topics to be discussed include the features of Lincoln Conveyor ovens, the differences between a conventional and a conveyor type oven and menu planning. There will also be a cooking demo to be conducted by Chef Gerhard Gendrano from Global Academy and Mathieu Amet, Technolux’s corporate chef. Participants will be excited to learn how they can “think out of the box’ through creative and unique recipes and techniques using a Lincoln oven. A Q & A with the chefs will also be part of the day’s activities. Moreover, quick demos on other kitchen equipment such as Convotherm combi oven, Pronto speed oven, Taylor soft serve machine, Kolb convection oven, Vittore espresso machine and Vitamix blenders will be conducted. Lincoln Ovens are the premier continuous cook platform ideal for the food service industry. They are designed with a conveyor system that slowly pulls foods through the oven, helping them to cook evenly without over-baking. Cooking, baking, and crisping of foods are faster than conventional ovens, resulting in increased production for food businesses. Easy to operate and a breeze to clean, it improves bake time by up to 35% without increased noise levels or loss of product quality. 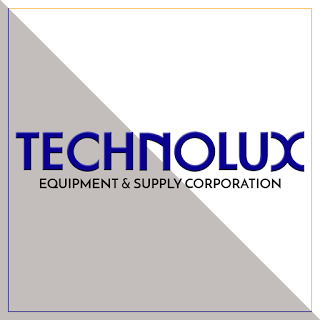 Technolux is the country’s largest importer and supplier of a complete line of foodservice, small wares and laundry equipment for over 40 years. Mall of Kitchens is located at 9703 Kamagong St.,Corner Lawaan St., San Antonio Village, Makati City (tel nos. 890-6758 / 552-3587). Ample parking is available.